Most of the songs are delightful and positive. I do have one serious problem with one track however. The "Housework" track promotes a negative attitude toward housework that should not be instilled in anyone. My wife and I enjoy housework! Obviously, one's attitude toward housework is subjective, and therefore, should not be presented as a fact that mommy and daddy hate housework, and so will you when you grow up. Since we all have to do housework, we should promote a more positive attitude toward it. There is dignity in all honest work, including housework. I want my children to learn to enjoy housework. The track should focus primarily on the cooperative, fun, and rewarding aspects of housework. Incidently, if you want THE MOST FABULOUS (6 stars) children's music audio/video, check out Parachute Express' "Feel the Music." Our entire family dances and sings to it every day! It is absolutely fabulous! Ron Schlegel. On an episode of "Inside the Actor's Studio," Gwyneth Paltrow cited this album as one of her major influences in life. This piqued my interest, and I grabbed it at my local library. I was so pleased that I wished my parents had this for me when I was a child in the 1980s. The messages are all very positive and life-affirming, even for adults. 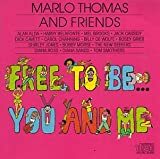 The "Free To Be... You And Me" theme song is just joyful. I love "William's Doll" for the pure affection of the Grandmother. The story of Atalanta is great, even for girls today. The line from Atalanta's father, the King, "Everyone gets married. It's what people do!" was surprisingly resonant. Not everybody gets married; some are meant for single life. The story's happy ending was satisfying, and good parents would be pleased if their daughter or son was happy whether they were married or not. "When We Grow Up" and "Glad To Have A Friend" show how good friends in childhood can really form a child's personality and outlook on their future. I love this, and I love that it sounds like the 19670s. Perfect. I read a ton of the reviews and decided to check this CD out at the library to listen to it before buying. I was not one of the nostalgic parents who remembered this from childhood. After listening to it, I decided not to buy it. I REALLY did not care for this CD. Not only did I feel there was too much talk and not enough music, but the talk itself begged questions that probably don't even cross the minds of your average 2-3 year old (such as the "girls are just as good as boys" theme)-- your girl won't even wonder if she's as good as a boy if you don't make a "thing" of it and just treat her right. Anyway, this CD bugged me a lot because of issues like that. I'm happy to finally own this album after having seen the video as an elementary school child. 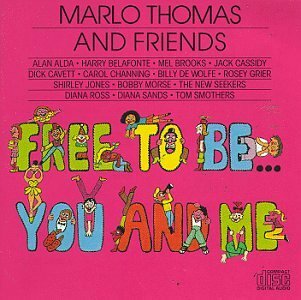 There are both songs that children can still sing when they feel they are too old for "children's music" such as "Free to Be You and Me" and whimsical songs smaller children would like such as "Helping." This album had a few pleasant surprises I didn't remember as a child, such as the hilarious "Housework" performed by Carol Channing. This album is startlingly ahead of its time with its message of self-esteem, liberating ideas on gender, and unselfconsciously racially integrated cast. I feel the language and subject matter in this album can be safely rated G (even in "Boy Meets Girl," when a girl and boy baby humorously debate who is the girl and who is the boy). This album is safe for households concerned about media encouraging bad behavior in their children. On the other hand, this album is best avoided by households that wish to instill "traditional" gender roles in their children. This album was one of my formative influences as a kid. Now that many of my friends are having kids of their own, I'm passing it along to all the new parents I know. If you love(d) this album, do yourself a favor and get the companion book, _Stories for Free Children_. It explores the same themes of compassion, cooperation, and fun. 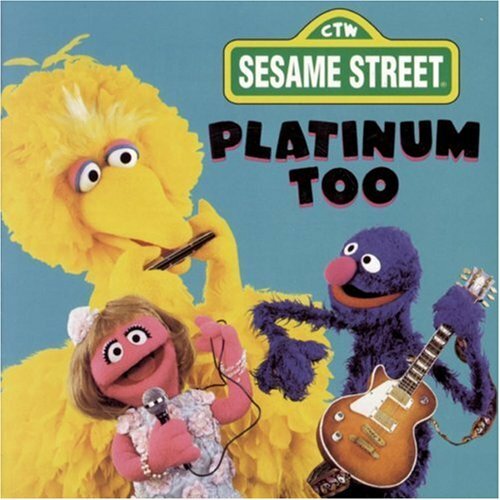 They played this CD in the Day Care that my daughter goes to. She never really cared to dance and sing to music before, but now with these songs, she loves to dance and sing. Her favorite song is Slippery Fish, at Day care they even made puppets act out the song. Its so cute! Highly recommend this CD!! No CZ--She's a real Diamond!! 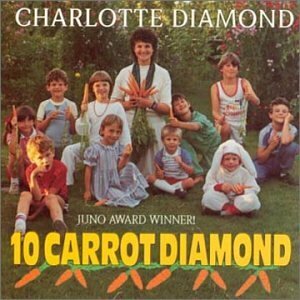 Charlotte Diamond is not well known here in the states--I couldn't even find her CD's in Canada(and she is a native)! This woman is incredibly talented and knows how to turn kids on to music. I have been an elementary vocal music teacher and the kids adore her music. She knows what kids like and her voice is velvet!! We love "I am a Pizza!" and "Four Hugs a Day" is a favorite. I must mention "Looking for Dracula"--This is a real favorite with the kids too. This is one artist I would love to meet--just to tell her how very much I admire her style, her class and her musicality. WOW!! Keep singing, Charlotte!! 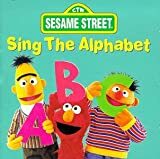 My son attends a special education preschool and there they teach him the songs on this cd with sign language and pictures. It has really helped my son achieve new words and also sign language. I was so amazed to hear him remember word for word the Octopus Song. He loves it. It is a wonderful cd, I went right out and bought it for my son to listen to it at home and the car. This is my daughter's all time FAVORITE CD!! Enjoy this one, and get your own copy.. I'm keeping mine! While working in a preschool I found this record, and decided to try it out. I was delighted to hear songs that I remembered from when I was a child. The children loved it to. This one is timeless, but I may upgrade from the record to the CD. I found "What is Your Name" a great song for circle time, not only does it help shy children, but it teaches rhuthem and timing too. A must for every preschool. My daughter loves this CD just like I did. It's truly my first memory and I have seen the world in "colors" because of Hap Palmer. 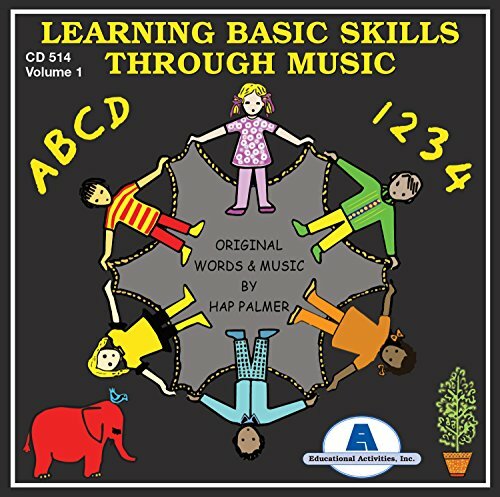 As a pre-k, kindergarten teacher since 1986, I have used Hap Palmer's music extensively, and "Learning Basic Skills Through Music Vol. 1" has been one of my student's all-time favorites. 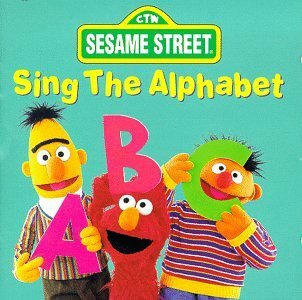 Their favorite from this collection of original songs, year after year, is "Marching Around the Alphabet". Even though LBSTM Vol. 1 was relaeased in 1969, the recordings are still as fresh and usable as they were 30 years ago, with attention catching tunes and relevant skill building tools for early learners. (Hap REALLY has staying power!) The songs are ready to go from the first time they are used, with little or no prep time (tip: use alphabet cards with Marching Around the Alphabet), and need minimal or no parent/teacher direction. If you are new to Hap Palmer, start here and branch out! He has music geared to every learning need, including abc's, colors, opposites, feelings, health and safety, vocabulary building, shapes, numbers, emergent letter sound recognition, spatial concepts (I could go on and on), with the added attraction of being great music! Good choices would be: "Easy Does It", with the mega-hit "Tap Your Sticks"; Getting to Know Myself, featuring "Sammy"; "Ideas, Thoughts and Feelings", with the great "Letter Sounds" songs; LBSTM Vol. 2, which includes my fav, "Parade of Colors"; "Sally the Swinging Snake, (do the "Wiggy Wiggy Wiggles" with YOUR little one; you'll feel like your four and love it! ); "Walter the Walzing Worm", (dance with Walter, he's not slimey! ); and Witches' Brew", which includes the ALL TIME NUMBER ONE HIT with the kids, "Scamper". 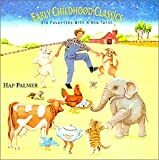 All I can say is, Hap Palmer's music is the standard by which all children's music, educational or otherwise, should be judged. SHOULD HAPPER DO ADULT CD'S?? 2 OF THE MOST SOOTHING VOICES-- in MY OPINION!! 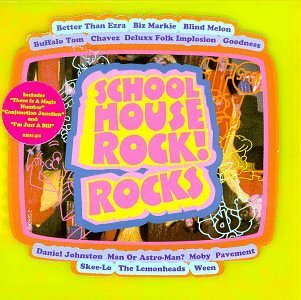 I love this cd, and have used it for several years in my classroom of three year olds. The kids love the music, especially Sammy. Shake something is fun too. I also have a 22 year old assistant teacher who loves this cd so much that she says she is going to bring it to a nightclub so she can bust it out on the dance floor to the song Left and Right. Way to go Hap! 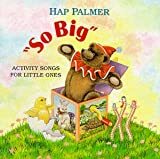 I have So Big and this CD by Hap Palmer. 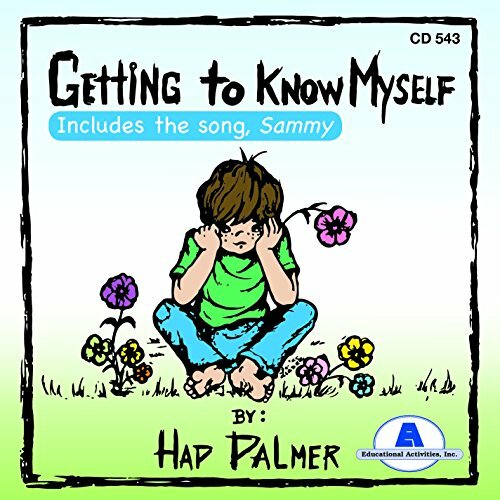 In general, I like Hap Palmer's songs because they are catchy and not tied-in to product promotions (like Disney and others). He produces songs enjoyable for all of my children, and I have to admit, I find myself singing along, too. This CD contains several "self-awareness" types of songs. I have a child on the autistic spectrum, and I found the songs on feelings to be especially useful. The overall message of these songs is to learn about yourself and be satisfied that you are who you are. These are particularly important concepts for an autistic child. I am such a fan of Hap Palmer, that I suspect I'll eventually own all of his music. 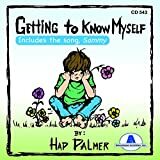 Hap Palmer's "Getting to Know Myself"
My 3 and 5 year old boys request this cd all the time and really enjoy doing the activities suggested by the lyrics. We even bring it in the car so they can "wiggle" like worms in their car seat and do the "freeze" Most importantly, I love it too which as any Mom knows is essential when you have to listen to the same thing over...and over....and over.... The kids seem to like all the songs but my personal favorite is "When I'm down, I get up and dance" and I can't think of a better way to start the day than with a chorus of "So happy you're here" You won't be disappointed. Hap Palmer's calming voice and catchy lyrics are infectous. Children can easily pick up the fingerplay directions in these songs. Every song has educational & fun potential. 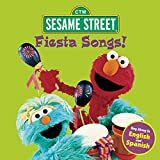 A teacher/parent could use this cd to encourage gross motor skills, listening/following directions, learning body parts, etc, or just plain having a blast! The titles are of the songs are easily remembered by kids ( I'm a pretzel, Jack in the box...) and soon you'll be fielding requests for their favorites! Whether you teach or have kids or even babysit this cd is great addition to your collection. I bought this tape to use with a pre-school class. Sometimes CD's do not meet my expectations. Not true with this one. It is excellent and I use it a lot. I am a speech and language therapist working in 4 rural school districts in New Mexico. I have 28 years of experience. Children from the age of 3 to 7 love Hap Plamer's songs. They are slow paced and give children time to act out the meaning of the songs as well as learn the words. Mr. Palmer has a calming voice that children like to listen to. I have found it helpful for increasing listening, memory, turn-taking and vocabulary skills. Young children learn best by movement rather than paper work at their seats. They like to teach others the songs, too. The beauty of Schoolhouse Rock in its original Saturday morning run (1973-85) was that kids watching couldn't tell whether the catchy three-minute cartoon jingles were meant to be commercials, shows, or something else entirely. That enabled overexposed TV youth to learn without realizing it between episodes of Scooby Doo and Fat Albert. Then the Brady Bunch generation became the alternative nation, and the innocence with which they took in these grammar, history, and math lessons was lost. 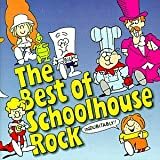 Now comes the obligatory tribute album, Schoolhouse Rock Rocks--pleasant enough, but full of postmodern yuks and missed-the-point nostalgia that aim to celebrate but instead drain the joy from childhood memories. Worth buying just to hear the Mr. Morton track, by Skee-Lo, I also liked Blind Melon (w/Shannon) doing 3 is a Magic Number. Okay, this is no grammy winning CD, but interesting and fun enough to listen to more than a few times, I mean where else can you hear Moby singing about Verbs? 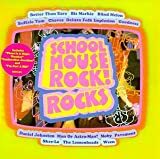 If you want the Orignal School House Rock songs,with all those cute voices, you'll have to get the original SHR CD or better yet, buy the videos (of course, the videos we purchased have some exceedingly annoying intros by some very annoying kids and Cloris Leachman? I think that's her name, blyuck!). 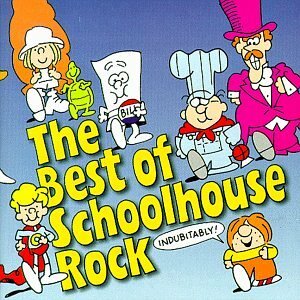 I'm a huge Schoolhouse Rock fan, so this album was definitely a treat. The songs are already classics, so the individual artists' interpretations take center stage here. Another good thing about this CD is that in many ways it sums up the sound of 1996 in rock, alternative, techno, R&B. There's some fun stuff here, and it all starts with the original theme music, just to add a little more irony to the disc. A great buy. Being a huge Pavement fan, I was mostly interested in their cover of No More Kings. Their reworking of the tune is great, definately on par with their eariler work, and at the very least out performs most of the S&E era B-sides. There have been numerous negative reviews of this album, and several five star ratings. I do not believe that it really deserves either. I enjoy each of the bands on this album seperately, anyway, so I don't know how biased I may be. But this album is not bad. I'm also not going to say that if you necessarily liked Schoolhouse Rock (which I did, by the way) that you will like this album. You kind of need to be in touch with this kind of music. It is a tribute album, not a reworking of old songs. Each artist puts their own touch to the songs, though some leave them closer to the way that they were originally. I personally really like Pavement, but it's a taste that most people seem to lack. So they will probably not appreciate the song as much as I do. Actually, I probably have the weirder tastes. Also a fan of Moby, both early and late, so I enjoyed his reworking of Verb. Warning though: it's more like the Moby tracks from "Everything is Wrong." Some of the songs less touched were actually the more enjoyable tracks. Blind Melon's rendition of "Three" is wonderful and almost makes me feel like I'm listening to, say, Three Dog Night (ironic, huh?). Ween, The Lemonheads, and Better Than Ezra all do tremendous jobs keeping to the original sounds, while still making the songs their own. Same for Biz Markie's "Energy Blues." "I'm Just A Bill" is done wonderfully, and certainly gives us a different view of how the bill actually feels about all of this beurocracy. And, hey, let's face it: Skee-Lo's "Mr. Morton" is so wonderful, I had to replay the track immediately after listening to it. Overall, I think the album deserves four stars. Pluses: Good collection of artists reworking some of the favorite tracks, and every track is worth listening to many times. Cons: Tribute cds are just so...common. 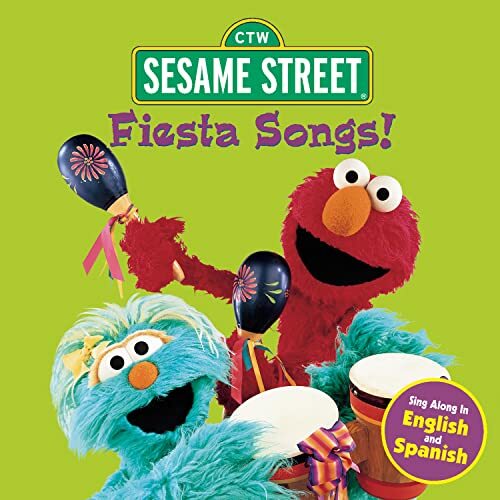 This CD allows children of all ages from 3 years old to 7 years old to actually have a slow enough pace to repeat what has been sung to them. You do not have to keep playing each line over & over in order for the children to be successful. I am a speech and language pathologist who usually has children who stick-out like a sore thumb in class productions because they cannot keep up with the others. With this CD, they do not have a problem. All children enjoy the songs and want to sing along. They imitate many different sounds that can build on their phonemic awareness, which in turns helps them listen and discriminate between sounds of the English language. This aids them in learning to put sounds together to talk better and read better. 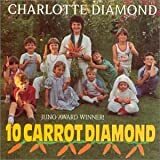 I listened to this record at Montessory School as a child and adored it! The songs are beautiful and Ella Jenkins is a phenominal entertainer. I still remember all of the words and love sharing it with my 15-month-old. This is a fabulous CD (all of hers are) and I cannot recommend it enough. It is one of the few CD's for children that you won't get sick of hearing as a parent. Enjoy! My almost-two-year-old has a favorite song from this tape which he likes to hear about 300 times a day. He has made it his mission in life to inform everyone he knows of this song's existence, and he's even discovered that every car we pass on the street has a stereo which could theoretically be used to play the song, if he asks insistently enough. So I guess you could say he likes it. Yet another superb CD from Tom Chapin. Amazing!! Ok, I'm pregnant and a little bit tired. So after dinner tonight I told my 2.5-year-old son he could watch a video (I really needed the half hour of rest). Nothing doing -- he wanted to listen to "the new Tom Chapin" CD. Ok, fine with me. I turned on "Family Tree" (which we bought last week, more about that later...) and he immediately started marching to the first song, Parade Came Marching. I followed him and he marched all around the house, singing along at the top of his little lungs. When the song ended, he paused, and when the next song, Nick of Time started, he jumped with glee and started marching and singing again. The two of us marched and sang our way through the entire CD...it was a really special and enjoyable time, and it chased my fatigue away. This is music that's more fun than a video, whether you're at home or in the car. Speaking of the car, that was our introduction to this CD. I bought it for the car ride from our Virginia home to our North Carolina beach rental place last week. Little did I know we'd spend 9 hours stuck in traffic as all of coastal NC was evacuated for Hurricane Floyd! Good thing this is such a wonderful CD...our son insisted on playing it over and over, and my husband and I didn't mind at all. It gave us a chance to learn all the words to these creative, crafty, songs. If you already know Tom Chapin's music, you'll love this CD as much as the others. If you don't know Tom Chapin yet, you gotta try him!! 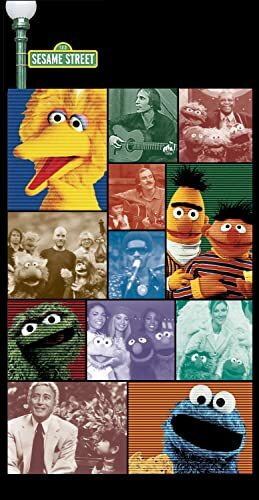 Your kids will love him, and equally importantly, you'll sing along too and will marvel at the quality of the music and lyrics. As with all of the Tom Chapin recordings I have heard, this is an excellent collection of songs. The songs are full of humor and you will usually recognize some "character"from your own life in one of his songs. One of my favorites on this album is "Nick of Time" because I've done the "I'm-gonna-count-to-five" Routine and it's so funny to hear how it comes out in this song. Also, my whole family likes "Shoveling" because we love the blues-ey rhythm and, once again, the humor. Once you buy one Tom Chapin collection, you'll be back for more. 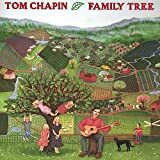 This is the first Tom Chapin CD that I've purchased and it's become a favorite of my two girls (age 2 and 4). They either start singing along or bouncing around to the music. The lyrics are intelligent and also silly. I have been a Harry Chapin fan for many years and am amazed at the talent of these two brothers. Some of the songs will have more meaning to the girls when they're older (e.g. Family Tree and Someone's Gonna Use It) and that's also a plus... highly recommed this artist and CD. TOM'S VOICE SOUNDS LIKE HE COULD DO BETTER AT ADULT MUSIC. WHEN HE SINGS CHILDREN'S MUSIC, HE SOUNDS SO OUT OF PLACE. THE LYRICS ARE WAY TO PRE-SCHOOLISH FOR ME IN MY OPINION. THE CAR OUT OVER IT!! USE THE CD AS A FRISBEE, OR USE IT AS A SHOTPUT!!! TOM JUST DOES NOT CUT THE MUSTARD FOR ME!!!! I must say, I just received this CD today and if you are expecting the classics, you will be disappointed. The melody, speed, words etc are quite different from the classical songs we all know. They advertise the cd as "Old Favourites with a New Twist", but I found the twist a bit too far from the original versions. This is not the type of CD you can put on for your child to help him learn the words of the songs. 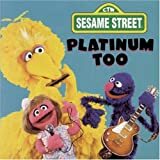 I bought this CD for my 2 year old son, based on great reviews I read on Amazon.com, so clearly I am in the minority. I will try to give it a chance for it to grow on me but first impressions are most certainly a disappointment. A child's music library must-have!! We LOVE this recording from Hap Palmer!! It is upbeat and perfect for ANY child, not just tiny ones. It is especially appropriate for toddlers and preschoolers, and the accompanying booklet outlines many activities that can be done along with each song. This is perfect for a do-together activity, or to use as part of a home/neighborhood preschool curriculum. Creative arranging, writing, and excellent musical talent make this a pleasure for all of us to listen to. My kids (4 and 1)love to run around and dance to this, as well as do the actions. You'll love it, too!! I bought this for my daughter who is 2 1/2 years of age. It turns out that my son who is 5 enjoys this CD too. I found the music upbeat and easy to listen to. Hap's singing is smooth and not annoying like the Barney music. He takes all the nursery rhymes and adds different rhythms. 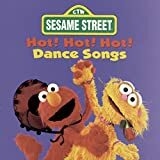 My kids love to dance to this CD. This definitely helps when the weather is not so permitting to go outside and play. The CD incorporates movements along with the songs. This is important to build music appreciation and make music fun for them. It also means that I do not have to sign my children up for expensive classes to enjoy music! Little ones need to move. I even find the children's chorus enjoyable. They actually remain in key! On some CD's, they use very young children who sing like Elmer Fudd. Not on this CD. These kids annunciate! I love the twists to the songs. The lyrics and suggestions for movements are included with the CD. This definitely helps! My daughter's favorite is "I'm a Little Teapot". My son's favorite is "This Old Man". It is a great investment in music! I highly recommend this CD for teachers and parents! I have played several CDs for my kindergarten class to be used for movement and exercises. Ever since I played "Wiggle Wiggle And Other Exercises", the children will have no other. It's pretty easy to understand why. 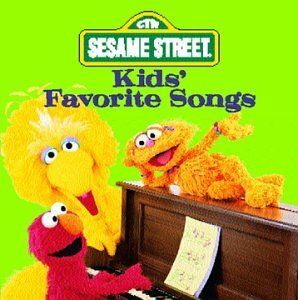 Every song is very catchy and easy for the kids to sing along with, and follow the instructions. The music is very interesting and also keeps the children interested. The exercises and songs teach the children coordination, right/left discrimination, rhythm, counting, and good health habits, which give the children alot of self confidence while having a terrific time. 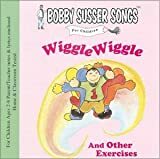 All this, plus more that you will find on this CD make "Wiggle Wiggle And Other Exercises", and Bobby Susser #1 with the children. I am a first grade teacher, and I have been packing up my school work this week to bring to school for this year. 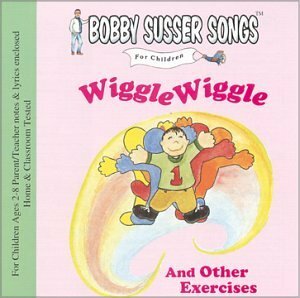 The very first thing I was sure I had, was my new CD of Bobby Susser's "Wiggle Wiggle And Other Exercises." This album that I have used for the last three years in cassete has never ever failed me. It's always a sure favorite of the kids. They love the songs and exercises. Bobby Susser makes it simple for the children, but treats every song in such a way that the children are kept very interested, and adults are not bored. The man is an expert at treating any subject with his songs and activities for his early childhood audience, and this album is no exception. It's a master exercise album for young children. We have bought loads of activity, exercise, and movement cassettes and CDs for the children in our nursery school. They liked many of them but none ever came close to Bobby Susser's "Wiggle Wiggle And Other Exercises." This collection of songs and activities has everything. The songs are easy for the children to sing, and the instructions from the singers are easy for the children to follow. The beats of the songs are great, and the tunes are so catchy. The music keeps the kids moving until they get to the last song which is titled "Rest Awhile." There is not one song or exercise that the children dislike. It's great music that teaches children how to exercise, good health habits, and how to sing along and enjoy it. This tops any exercise CD our young students ever had. They ask for it everyday. Bobby Susser just keeps on doing it for young children. Throughout the eleven years of teaching kindergarten classes I have used songs for my children to exercise to. I have continued to use the ones the children liked for some time. Most recently, I discovered that other than Bobby Susser's "Wiggle Wiggle And Other Exercises", all the rest have become dust collectors. Also, the children couldn't make it any clearer to me. They literally request this collection and say play "Bobby's Songs" whenever I ask them if they are ready to exercise. The children's request says it all. 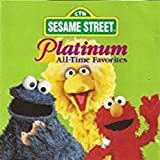 I am simply reporting this for anyone who is interested in a young children's collection of catchy instructive songs to exercise to, teach good health habits, and that children can easily sing along to. It is such a wonderful delight to see my children respond to all these songs.